What I have been loving lately is cycling through the San Antonio trails. 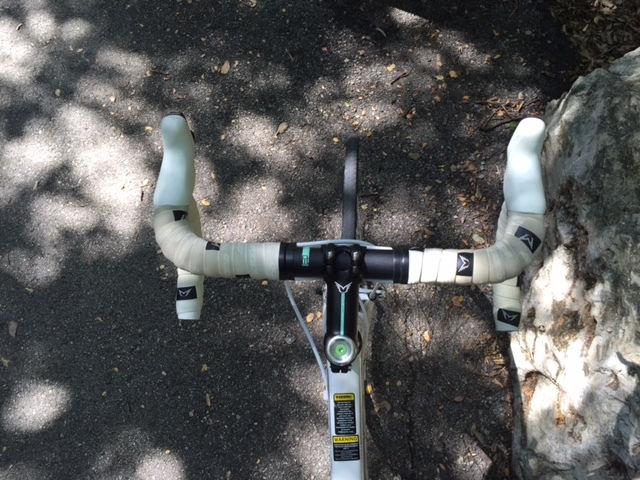 In Chicago, I purchased a fancy bike for triathlons, and after that was over, I was too afraid to hop back on the bike and enjoy cycling again. In our very urban patch of the Windy City, streets were crowded, full of potholes and drivers that were far more agressive than I was experienced on a bike. 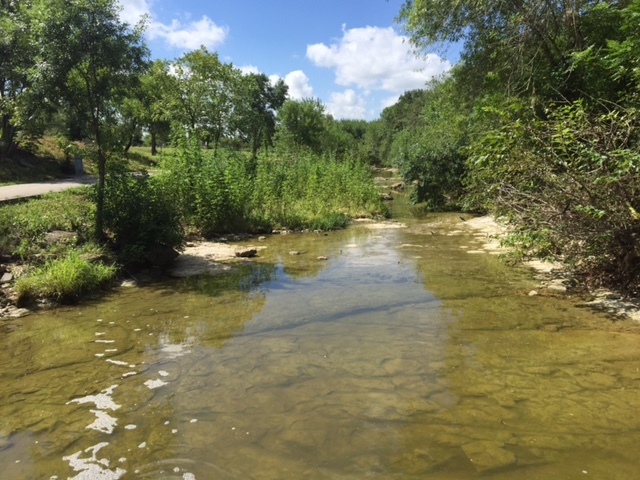 San Antonio is a bit more relaxed and far less dense, so it affords me some great opportunities to cycle again despite the crazy summer heat. We live near miles and miles of paved trails, some are hilly, while others are flat and shady- so it’s always an adventure. For the first time in two years, I feel like I’m really getting acclimated to my bike, and it’s a nice change from running- even if I’m tired (and totally out of shape as I’ve been off the wagon for a few weeks), I still keep rolling forward, and the breeze is phenomenal. Of course, picking up speed also means that dust, bugs and heat is being blown straight to your face. 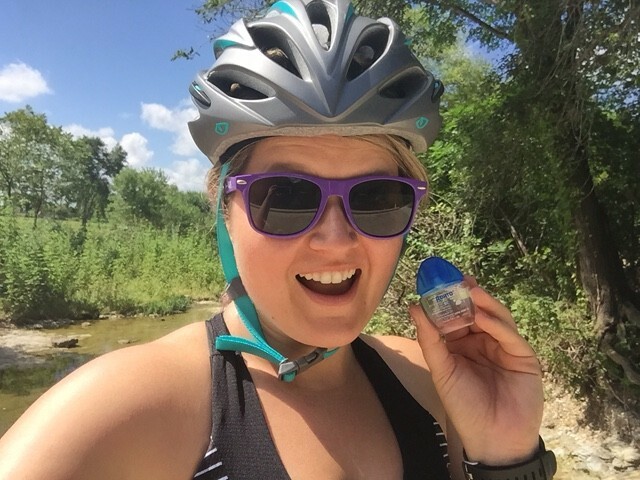 I’ve found that I have a few cycling essentials to get through Texas summers- Ice water, sunscreen, bug spray, a helmet and eye drops. Weekend cycles are my time to unwind and reset for the week- but I’ve been dumb enough twice to go out without the essentials and it usually leaves me hating life on Monday morning. Sun burns, bug bites and itchiness all add up to a bad case of the Mondays. 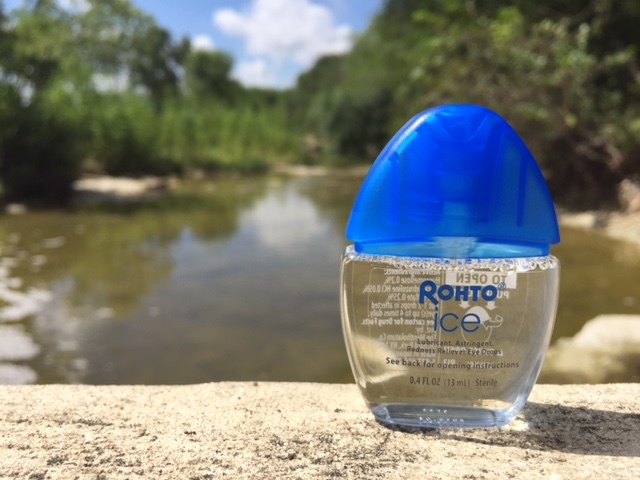 I’ve added Rohto® Ice to my repertoire along with my essential oil bug spray, sunscreen and sunglasses to help make cycling in the summer a bit easier. Rohto® Eye Drops feature a single drop dispenser makes application easy, and the slim bottle fits really snuggly in my armband with my iPhone. For awhile, I tried to psych myself out that it was just too hot to get out there and cycle in the summer…but really, the sunshine, bugs and allergies are just excuses. With the right planning, you can stay active and stay comfortable though any condition outdoors- no matter what the weather brings. I’m loving our new trails in Texas, and I’m glad I can finally put my bike to good, and regular use. If I’m feeling really brave, I might even sign up for another triathlon or duathlon as I get my confidence back up on the bike. Until then though, I’m just going to enjoy the self-made breezes and blazing new trails on two wheels!